Prominent & Leading Manufacturer from Pune, we offer transfer blocks, magnetic clamping block, magnetic rectangular blocks and rectangular blocks. Usage Used as an accessory for magnetic chuck to clamp thin & odd shaped jobs. We are the leading manufacturer and supplier of Transfer Blocks. 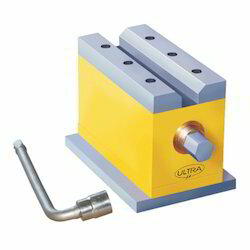 We are the leading manufacturer and supplier of Magnetic Clamping Block. We are the leading manufacturer and supplier of Magnetic Rectangular Blocks.